The 'right-click' option to 'copy and paste' text or images from this website has been disabled to protect not only the webmaster but also the associates who have kindly offered permission to use their work. This page should be read together with our Terms & Conditions. Chinchilla Chronicles is more than happy for you to link pages and in return we shall do the same but no work or images must be directly copied (apart from the images indicated on our Link to Us page only). A reference page associated to the Chinchilla Chronicles website can be found on our Acknowledgements page. 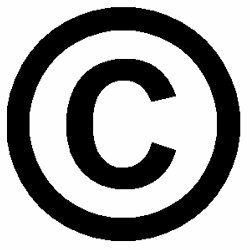 Copyright Definition: The exclusive right of the author/creator to control copying of original work. * For the benefit of the script below, the word 'Associates' means - other parties who have offered permission for their material to be used either on the Chinchilla Chronicles website or within the books we sale. 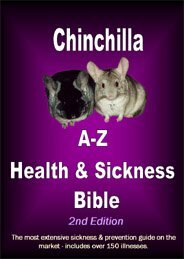 All written and photographical content held on the Chinchilla Chronicles website is the property of the webmaster and its associates* and is protected by United Kingdom, United States of America and International Copyright and Database Right Laws. No part of this website may be reproduced in any form or by any means – graphically, systematically electronically or mechanically, including photocopying, recording or information storage without prior written permission from the webmaster and its associates*. You may not frame or use framing techniques to enclose any trademark, logo or other proprietary information (including images, text and page layout) of Chinchilla Chronicles and its affiliates without express written consent. All content included on the website, such as text, graphics, logos, images, audio clips, digital downloads and software, is the property of Chinchilla Chronicles, its affiliates or its content suppliers and is protected by Luxembourg and International Copyright, Authors' Rights and Database Right Laws. 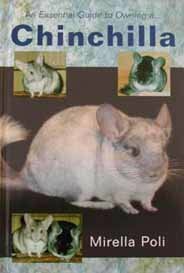 The compilation of all content on this website is the exclusive property of Chinchilla Chronicles and its affiliates and is protected by United Kingdom and International Copyright and Database Right Laws. All software used on this website is the property of Chinchilla Chronicles, our affiliates or our software suppliers and is protected by Luxembourg and international copyright and author' rights laws. Anyone found to be breaking these copyright rules will be notified to the relevant parties and prosecuted! © 2006-2014 Kingdom Books, PO Box 74, Havant, PO9 5TT, England. No part of this publication may be reproduced, stored in a retrieval system, or transmitted in any form or by any means, electronic, mechanical, photocopying, recording or otherwise, without the written permission of the publisher. All content in the ebook is the property of Mirella Poli, its associates* or its content suppliers and is protected by United Kingdom, United States of America and International Copyright and Database Right Laws. The ebook has also been protected under the UK Patent Office, European Copyright Directive (EUCD) and the Digital Millennium Copyright Act (DMCA). No part of the ebook may be reproduced in any form or by any means – graphically, systematically electronically or mechanically, including photocopying, recording, forwarding or file-sharing. All content within the Mini Book Series (shown above) is the property of Mirella Poli, its associates* or its content suppliers and is protected by United Kingdom, United States of America and International Copyright and Database Right Laws. The individual mini books have also been protected under the UK Patent Office, European Copyright Directive (EUCD) and the Digital Millennium Copyright Act (DMCA). No part of the mini book series may be reproduced in any form or by any means – graphically, systematically electronically or mechanically, including photocopying, recording, forwarding or file-sharing. ...please contact us with the URL so the webmaster can be contacted. Please Remember: Some proceeds of 'all the items for sale' on this website are donated to chinchilla rescue centres therefore any illegal copies will deprive these animals of the funding that they need! Webmasters who sell illegal copies of any of the books sold on Chinchilla Chronicles will be held responsible and prosecuted! You may however, use images of the books we sale following the conditions as set out on our Link to Us page.